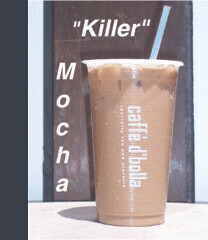 We put out a picture of our super delish Killer Mocha today. Yes it is the ultimate espresso and chocolate experience! Uh huh only the best espresso and chocolate will do. Yum!